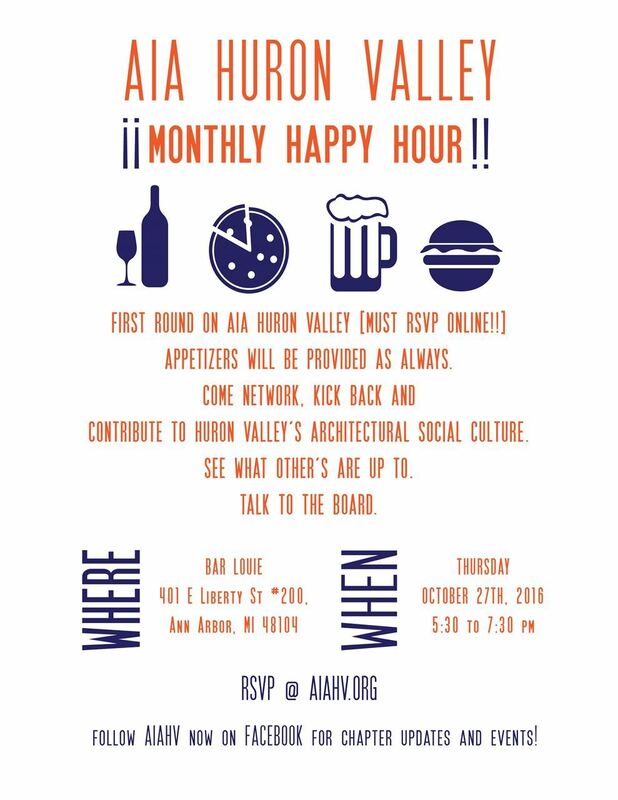 Meet at Bar Louie Ann Arbor on Thursday October 27th @ 530pm-730pm for our Monthly AIA Huron Valley Happy Hour. Space is typically reserved for us in the back patio. Come join us for socializing, networking, and mentoring opportunities that will grow our chapter and promote architecture in Huron Valley! Be a part of this community. This event is free, and AIAHV will be buying the appetizers and first drink for those that RSVP'd, so please register early using the link below so we know how many will be there. Thanks!